breaking | SOUL OF SYDNEY FEEL-GOOD FUNK SOUL DISCO vibes & beyond. 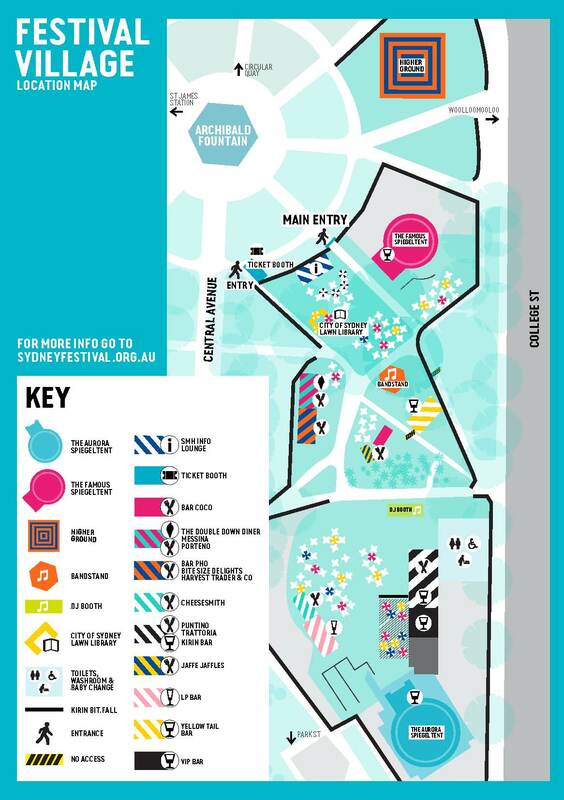 Soul of Sydney DJ & Friends are officially bringing the party vibes at SYDNEY FESTIVAL 2015, we are honored to be hosting three open air, free and family friendly events with a collective of our favorite DJ’s, Dancers and MC and Artists. 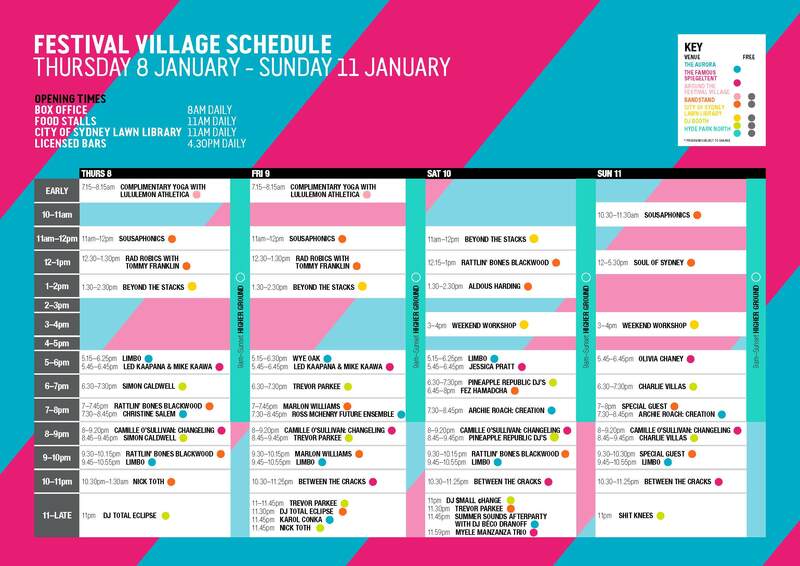 Free Entry – Kid Friendly Vibes – Laneway Block Party – Bboy Dance Showcases – Street Art – Feel-Good Funk, Old School Party Jams & beyond. MUSIC / FEEL-GOOD FUNK, OLD SCHOOL HIP HOP & BBOY BREAKS & BEYOND. 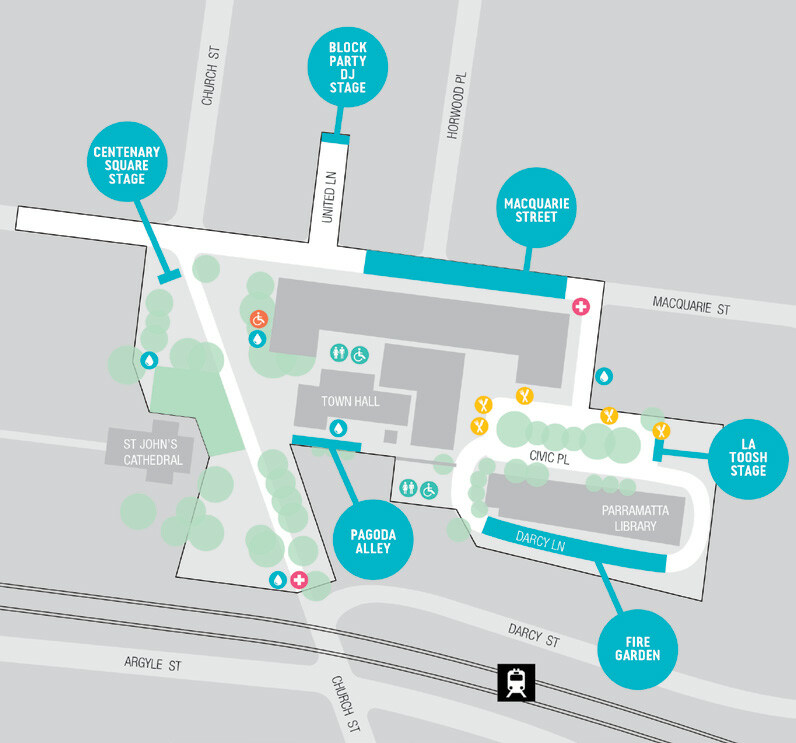 We are honoured to be hosting three outdoor events as part of SYDNEY FESTIVAL 2015, 1 LANEWAY BLOCK PARTY and 2 Sunday Afternoon Parkside Picnics. 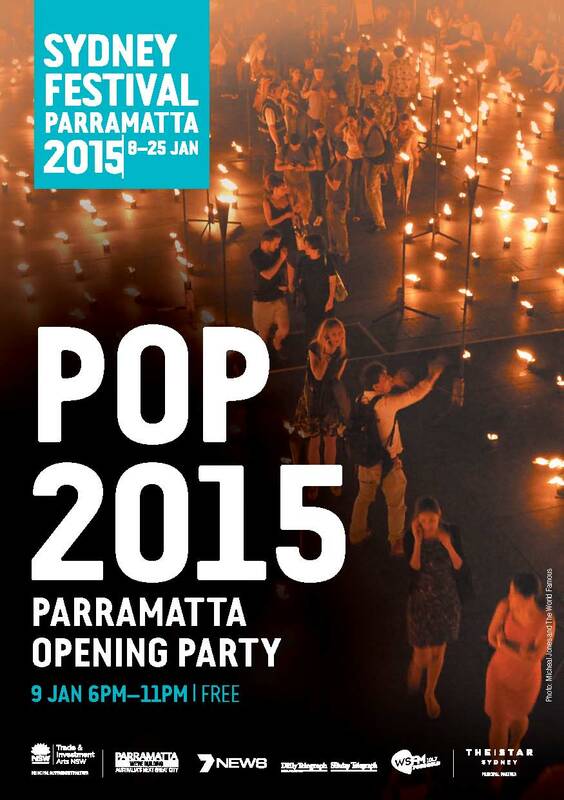 The first kicks off THIS FRIDAY as part of Parramatta Opening Party, DANCEKOOL and SOUL OF SYDNEY proudly preset the UNITED LANE BLOCK PARTY happening this Friday (Jan 9) as part of Sydney Festival’s PARRAMATTA OPENING PARTY. 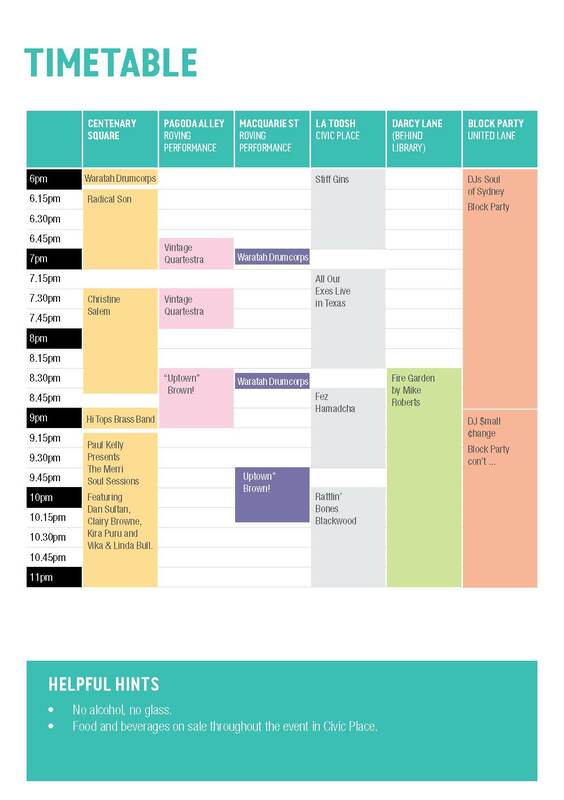 A FREE, KID FRIENDLY LANEWAY BLOCK PARTY. 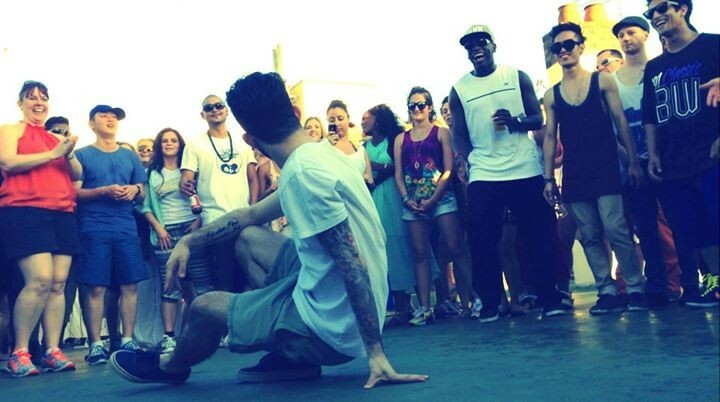 An old school community street party inspired by early HIP HOP Era, Street Dance & Culture. 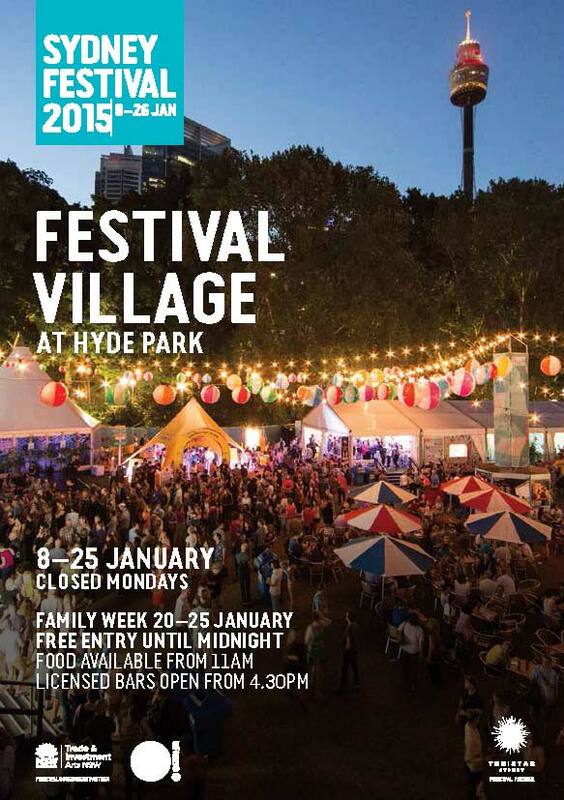 An afternoon of Feel-Good Funk, Soul, Disco, Hip Hop & Beyond in the lush surrounds of HYDE PARK festival village. 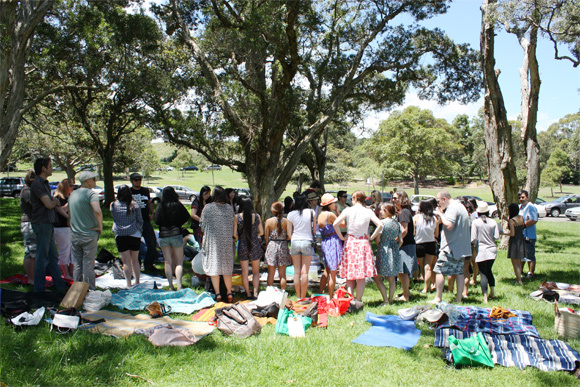 Music and vibes courtesy of Soul of Sydney DJ’s & friends. IT was at a party in 1970 that Ralf Hütter first glimpsed the potential power of the Man Machine. Kraftwerk, the avant-garde musical group he had founded that year with Florian Schneider in Düsseldorf, Germany, was playing a concert at the opening of an art gallery, a typical gig at the time. Trying to channel the energy of the Detroit bands it admired, like the Stooges and MC5, the duo had augmented its usual arsenal of Mr. Schneider’s flute and Mr. Hütter’s electric organ with a tape recorder and a little drum machine, and they were whipping the crowd into a frenzy with loops of feedback and a flurry of synthetic beats. Thus began a careerlong obsession with the fusion of man and technology. It would take four more years (and three largely instrumental records of electro-acoustic improvisation) before Kraftwerk heralded the coming of electronic pop on its landmark 1974 album “Autobahn,” and another four years before the members proclaimed themselves automatons on “The Robots,” the band’s de facto theme song from 1978’s “The Man-Machine” album. But even in 1970 the hum of what Mr. Hütter calls electrodynamics was buzzing in his veins. Few bands have done more to promote that once incongruous concept than Kraftwerk. Though its image shifted over the years from conservatory longhairs to Weimar-era dandies to stylized mannequin machines, it consistently provided a blueprint for the circuitry of modern pop music. David Bowie, an early adapter, channeled the band’s chilly vibes for his late ’70s “Berlin Trilogy,” and in the early 1980s synth pop groups like Human League and Depeche Mode followed suit. Kraftwerk also became the unlikely godfather of American hip-hop and black electronic dance music, inspiring pioneers in the South Bronx and Detroit. Today Kraftwerk’s resonance can be heard in works as varied as Radiohead and the Auto-Tuned hip-hop of Kanye West and T-Pain. Yet 35 years after “Autobahn” Kraftwerk remains relatively anonymous, thanks largely to a carefully crafted cloak of secrecy, one that an hourlong phone conversation last month with Mr. Hütter from Kraftwerk’s Kling Klang Studio outside Düsseldorf failed to penetrate significantly. On topics ranging from the band’s creative hibernation of the last quarter-century (only two albums of new material since 1981’s “Computer World”) to Mr. Schneider’s departure from the group late last year, Mr. Hütter was pleasant but revealed little. “It’s important for me that the music speak for itself,” he said. This month the music should do just that with the release of “The Catalogue” (Astralwerks/EMI), a boxed set of newly remastered versions of the band’s last eight albums, beginning with “Autobahn” and including all of the records with the so-called classic Kraftwerk lineup: Mr. Hütter, Mr. Schneider and the electronic percussionists Wolfgang Flur and Karl Bartos. (Five of the remastered albums are also available individually.) Like Mr. Hütter’s infrequent interviews, “The Catalogue” doesn’t divulge much that fans don’t already know. There are no liner notes, no unreleased tracks, no digital mini-documentaries, just some additional photos and revised album graphics. “For the first time, I think the music sounds the way we always heard it and produced it in our Kling Klang Studio,” Mr. Hütter said. Kraftwerk had long been a staple of the D.J. sets of Afrika Bambaataa in the South Bronx, and in 1982 he and the producer Arthur Baker decided to combine the melody from “Trans-Europe Express” (which Mr. Baker had noticed kids playing on boom boxes in a Long Island City, Queens, park) and the rhythm pattern of “Numbers” (which Mr. Baker had seen wow customers at a Brooklyn record store). The result was the pioneering 12-inch single “Planet Rock” by Afrika Bambaataa and the Soulsonic Force. “All that” encompassed an entirely new genre, electro, which paved an alternate route for hip-hop. It’s hard to imagine the productions of Timbaland or the Neptunes without the innovations of “Planet Rock,” and its repercussions can still be heard the world over, from Bay Area hyphy to Brazilian baile funk. The roots of techno wind their way back to Düsseldorf too. In Detroit the radio D.J. Charles Johnson — better known as the Electrifying Mojo — built a fervent following on the urban contemporary station WGPR-FM in the late ’70s and early ’80s by ignoring the rigid formatting of other local stations. He had fished a copy of “Autobahn” out of the discard bin at a previous station and soon acquired a copy of “Trans-Europe Express.” “It was the most hypnotic, funkiest, electronic fusion energy I’d ever heard,” Mr. Johnson said. Kraftwerk became a staple of Mojo’s show “The Midnight Funk Association.” When “Computer World” came out, Mr. Johnson played almost every song on the album each night, making a lasting impression on a generation of musicians. For Kraftwerk it’s a civic connection that has come full circle. In the last decade Mr. Hütter has developed relationships with some Detroit artists he inspired, including Mr. Banks. It seems to be a kind of “brotherhood, like Düsseldorf and Detroit,” Mr. Hütter said, saying he’s fascinated “that this music from two industrial centers of the world, with different cultures and different history, suddenly there’s an inspiration and a flow going back and forth. It’s fantastic. Indeed, compared with Kraftwerk’s near invisibility throughout most of the ’80s and ’90s, the last few years have seen a relative flurry of Kraftwerk activity. 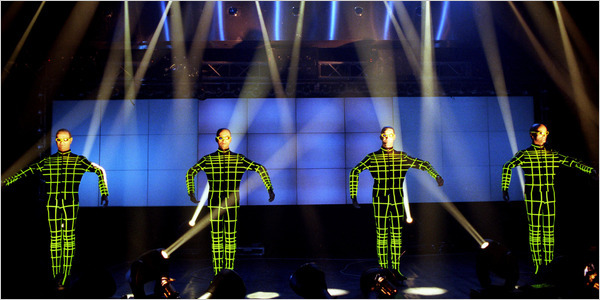 Laptops have allowed the group to take its Kling Klang Studio on the road, so it has been touring regularly, adding 3-D graphics to the live show this year. Now that “The Catalogue” is completed, Mr. Hütter has promised a new Kraftwerk album soon, which would mark the band’s first recording without Mr. Schneider. If Mr. Hütter has any reservations about working without his musical partner of four decades, he kept them to himself; perhaps robots are incapable of showing emotion? Ol’ Skool Electro Funk, Rap & Boogie.